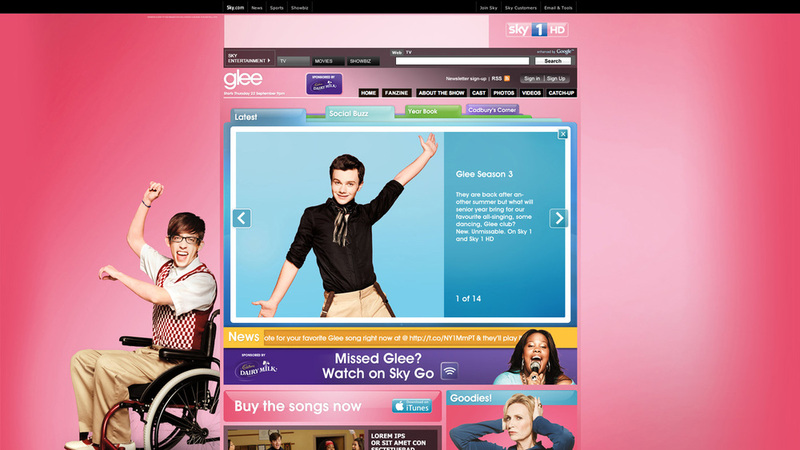 In September 2011, one of the most talked about shows, Glee, was making the move from E4 to Sky 1 HD. It was really important to show UK Glee fans that we love the show just as much as they did and we wanted to make a big song and dance of it along the way. From the word Go all of Sky took Glee to its heart: all new Glee Season 3 was aired just days after the States, a UK first. 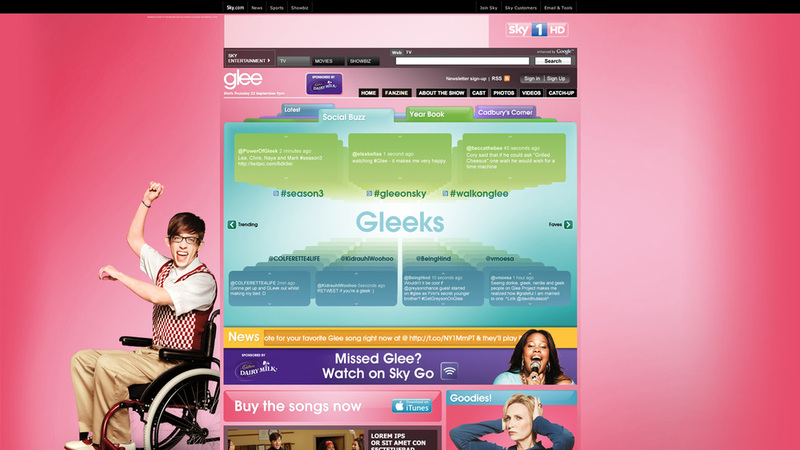 The launch for Glee needed to integrate online, social and even live regional Glee event activity. We knew Glee fans were online and specifically in the social space. As a Senior Designer I contributed with conceptual work, wireframes and detailed designs and making sure we create a seamless experience. 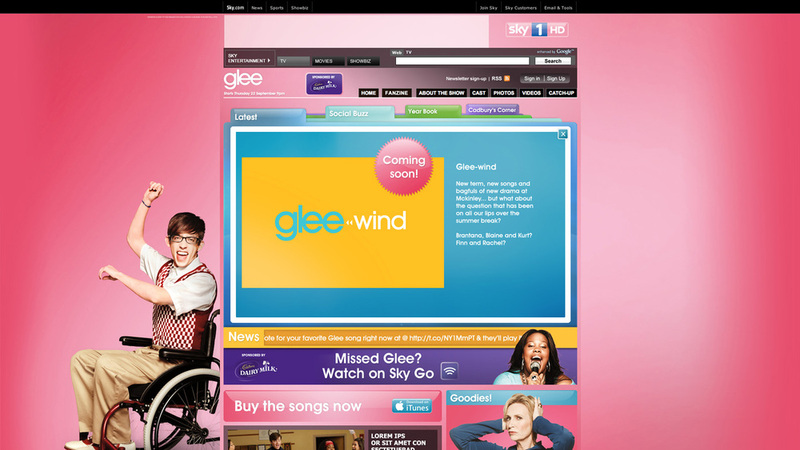 Collaborating with the Creative Lead and two other designers, developers, the social media team and TV producers we delivered a one stop shop for everything Glee on the Sky 1 website. Designed a custom video player for Sky’s own fanzine show, The Gleekly, which premiered with new episodes right after show TX on Sky 1’s website. We build a Glee Twitter visualiser from scratch that collated all conversations related to Glee from bloggers to superfans and displayed them in a single live feed dashboard. Delivered designs for the custom Twitter Glee account, the first ever advertising campaign to launch on Twitter promoted trends in the UK, garnering an astounding 20K followers, a record for a show across all Sky channels. The campaign won a Gold Promax UK in 2012 for Cross-Media campaign.